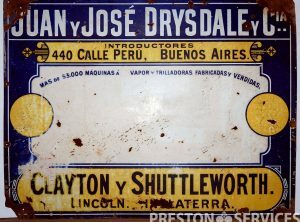 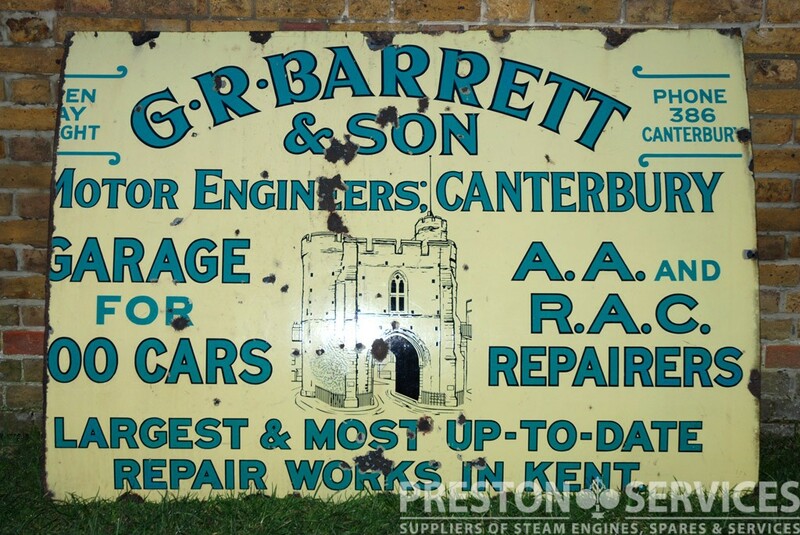 A handsome vintage advertising sign in enamelled steel, from the well known (and still in existing) Barretts garages in Canterbury, Kent. 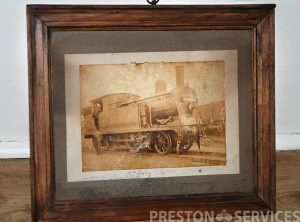 Sign reads “G.R. 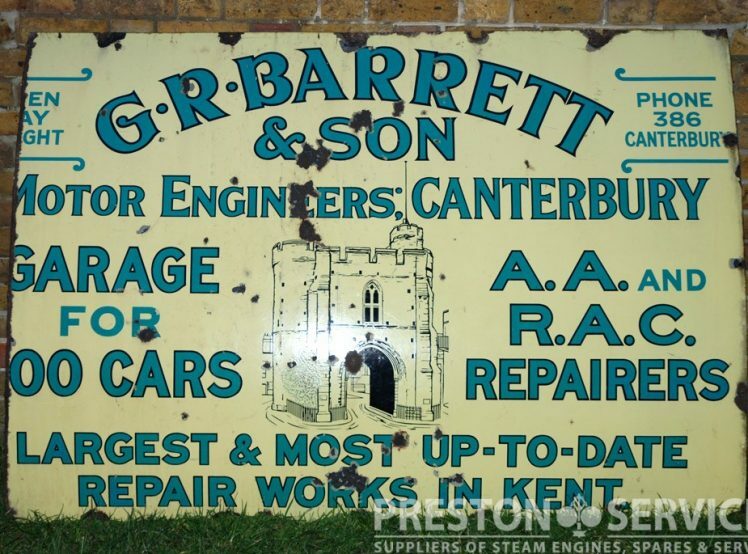 Barrett & Son, Motor Engineers Canterbury, Garage for 100 cars, A.A. and R.A.C. 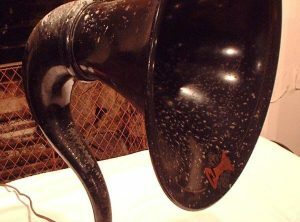 Repairers, Largest & Most Up-To-Date Repair Works in Kent. 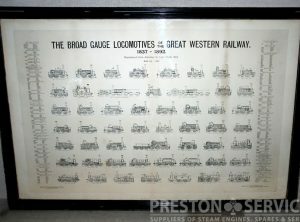 A large framed print composition of 53 original locomotive drawings by Geo. 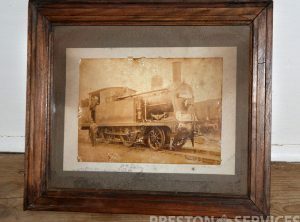 Fredrick Bird of Great Western Railway locomotives from 1837 – 1892. 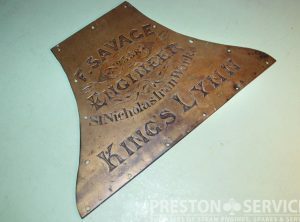 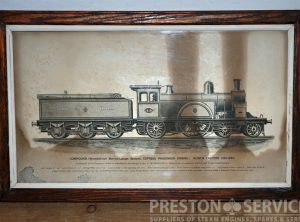 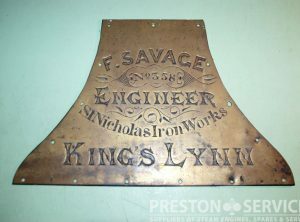 A very rare print, ex a locomotive works office. 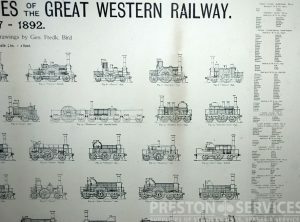 MAKERS CATALOGUES: BURRELL, FOWLER, SENTINEL, etc. 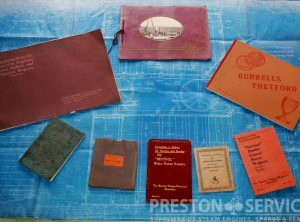 Burrell 1912 general catalogue, Fowler parts catalogue, Standard Seninel Drivers Handbook, Sentinel D.G. 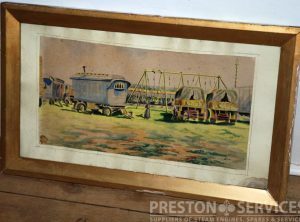 Waggon Drivers Handbook, Marshall Tractor Drivers Handbook, Clayton portable Drivers Handbook, and a Mornement & Ray general catalogue.